Finance Minister Jim Flaherty has stepped down. "Yesterday, I informed the prime minister that I am resigning from cabinet,” Flaherty said in a statement. “This was a decision I made with my family earlier this year, as I will be returning to the private sector." 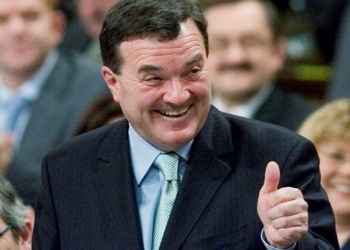 Flaherty – who has been unpopular among the mortgage broker community – has served as the Finance Minister since 2006. Still, a recent MortgageBrokerNews.ca poll revealed only 52 per cent of brokers believe the industry will benefit from Flaherty’s resignation. For his part, Flaherty believes he has had a successful run and that he will turn his focus to the private sector. "As a government, we achieved great things for Canada and I could never have accomplished what I have as finance minister without the full support of Prime Minister Harper," Flaherty said in the statement. “I will focus on life beyond politics as I return to the private sector. Still, some may view the move as the Flaherty's first step toward his own run for the leader of the Conservative party.